The GNOME Project recently announced the release of GNOME 3.12. 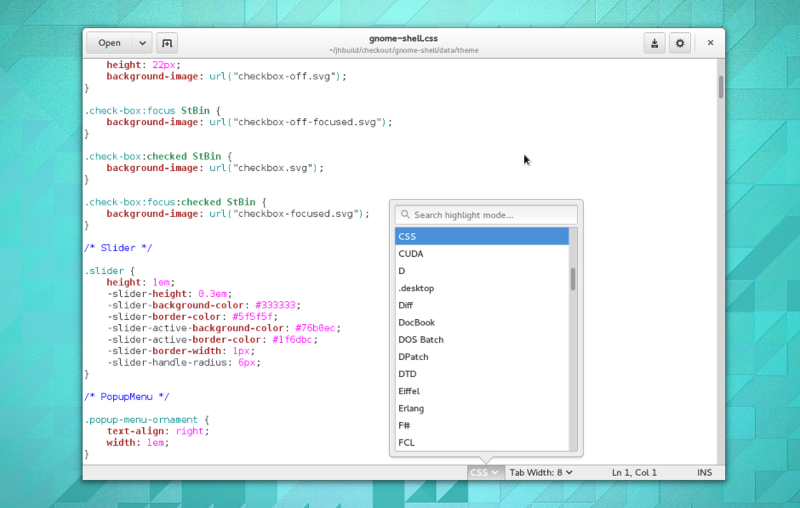 This new version of GNOME provides updated versions of many of the core GNOME applications (notably, gedit, the GNOME text editor), as well as improvements to GNOME Shell. A full list of improvements and updates are available in the GNOME Release Notes. However, with Fedora 21 being many months away from a release, how can GNOME users on Fedora 20 try out all the improvements developed by the GNOME Developers? Luckily, Richard Hughes has packaged up GNOME 3.12 for Fedora 20 and distributes it in a COPR Repo. Finally, reboot your system, and you should be running fedora 20 with all the GNOME 3.12 goodness. I am running 3.12 on F-20 on one of my two production desktop machines for a few hours now. Up to now I did not encounter any issues (for sure some a hiding…). I have manually forced the shell extensions I use to work with 3.12 (by adding “3.12” to the respective metadata.json files under .local/share/gnome-shell/extensions/). Is there any plans you know of to add the Gnome 3.12 as a regular upgrade to Fedora 20? I don’t mind using the corp-be repo at all, but I want to avoid any potential conflicts if Fedora 20 decides to provide 3.12 as a upgrade via their normal repos. It’s not been decided yet whether to try and ship it as an official update, but if that happens, it won’t conflict with the COPR packaging (in fact the official update packages will just be continuations of the COPR builds). I would like to see most people’s extensions continue to work if we do a mid-release update. So, a helpful thing to do is look at the extensions you use and report if they do (or don’t) work to the extension authors. And fix them if you have the coding skills and knowledge. If the ones you use all work (or if you don’t really rely on extensions), take a look at the most popular and test and work on those. From my experience with running Gnome 3.11 in rawhide, I think this should go pretty smoothly. Of course general testing and bug reports help too. First I have conflicts with rhythmbox and mpv and requires, then I remove both packages. Ok, apparently i have some i686 packages, so I enable the [rhughes-f20-gnome-3-12-i386] repo and now it’s works. Seems like updates and rhughes-f20-gnome-3-12 have nm-connection-editor with the same version. Ensure that you have added cost=900 in rhughes-f20-gnome-3-12 then run “yum reinstall nm-connection-editor”. That way it will be reinstalled with the package from rhughes-f20-gnome-3-12. Then “yum update”. That’s what I did yesterday when I upgraded to this copr. I had the same error Rich had and this fixed it right up and now I’m on 3.12! Thank you it solved my problem as well! Just a quick followup: I simply tried again the upgrade, and now it worked flawlessly =) So far, all seems to be working fine. Thks to all involved, it’s really nice not having to wait for Fedora 21 to use GNOME 3.12. Using the comments below, I added the i386 repo definition and added the cost variables and was able to successfullly install. Thanks all for the assistance. it’s duplicating a lot of x64 packages with their x86 equivalent, looks like there’s a complete system reinstall ahead. On two of the three systems that I’ve tried this on X doesn’t seem to be starting correctly and the greeter is never shown. I started with a HP laptop with a dual Intel / Radeon combined chipset (although I don’t think that the Radeon chipset is ever used) and that worked fine. Then I tried a HP desktop system with a nVidia chipset (using the nouveau driver) and the problems started. I “fixed” that system by downgrading all of the F20/3.12 packages back to stock F20 and then upgrading to rawhide. That took a while because the upgrade crashed a couple of times in the middle leaving an inconsistent package database but once that was all sorted out everything worked as expected. I just tried another HP desktop, this time with a Radeon chipset and am seeing the same problem. Unless I find a solution soon I’m probably going to go through the process of upgrading the system to rawhide as there are a couple of Gnome 3.12 features that will be very useful to me. Why do we still have to edit .repo files manually? also, i filed a bug requrest against COPR a while back to provide release RPMS, that would be close to one-click install from the browser. Is there no something like screenshot tour? A GNOME posting is dry without many screenshots. The GNOME release notes (linked in the first paragraph) provide an outline of the features and plenty of screenshots. I was not able to resolve this, so removed Cairo-Dock and upgraded to Gnome 3.12. I then “configured” and “make” from the Cairo-Dock. It’s working, but not completely. I have followed the steps (adding both i386 and x86_64 repos) and everything went fine. I did the install and in re-deployed 546 pacakges. had problems with xorg-x11-server-Xorg-1.14.0-4.fc20 crashing. Connessione ad un altro mirror in corso. libwebkit2gtk-2.4.0-1.fc20.x86_64: [Errno 256] No more mirrors to try. webkitgtk3-2.4.0-1.fc20.x86_64: [Errno 256] No more mirrors to try. Me too. I think something has gone wrong with repository in recent days. How do you back it out? ie. revert back to the original fedora 20 gnome packages? I was able to upgrade on my dell adamo laptop with no hiccups. From what I can gather, the software app is bonkers (not that I will miss it) but other than that it is working fine. Installing 3.12 was no problem – eveything went perfectly and I quite like the 3.12 Gnome shell. However, evolution-ews 3.12.3.1 seems to have a bug in it (it says that any defined ews accounts are offline in the mail view but the calendar etc. works OK and imap & pop work OK). I tried rolling back evolution-ews but that breaks evolution. Rolling back evolution isn’t possible because of all the gnome dependencies. Is there a way to rollback the entire 3.12 update? I’d rather have a functional evolution-ews even if it means staying on 3.10 for a while before upgrading to Gnome 3.12. The problem with evolution-ews was actually caused by a bug in the evolution-data-server. The bug has been fixed and the new version is now included in the rhughes-f20-gnome-3-12 repository so anyone dependent on evolution-ews should be OK now. 3.12 seems pretty stable and I have had no problems with shell extensions with version validation switched off (gsettings set org.gnome.shell disable-extension-version-validation “true”). Richard – thanks for setting up the repo and keeping it current. yesterday i tried to upgrade, but gdm won’t start. dmesg says, gnome-shell has some problems with libmozjs24. Since I couldn’t find any solution for this problem, I did a recovery and stay with gnome 3.10. Any idea, what went wrong? I did this on July 28 in order to try something new out as Fedora 21 has been delayed to at least septermber. Everything is alright except NVidia driver, the old one which is not compatible with gnome 3.12 neither akmod does. Yet nouveau still can recover from suspand, so I have to install driver from Nvidia official site. People who don’t want to bother installing driver should consider it. Anyone else seeing them as well? Any workarounds? Upgrade to 3.12 without any error. Awesome!